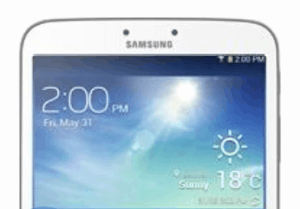 (Leak)Galaxy Tab 3 8.0 Spotted! 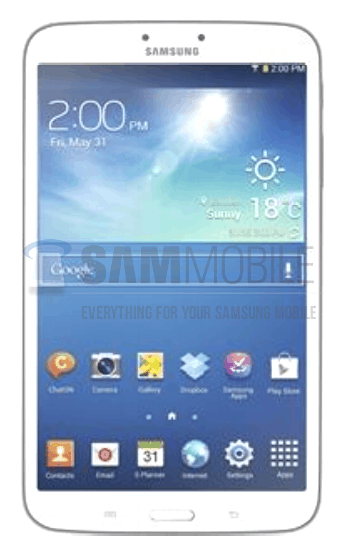 The Samsung Galaxy Tab 3 with an 8 inch screen is expected later this year, probably until the end of next month. The guys at Sammobile got their hands on the first image with the Tab 3 device. You will see that it looks almost the same, with a thinner bezel though. Also the new Tab device will have more sensors and far better specs. The specifications for the tablet are not official yet, but the rumors seems to be right on track. It is expected to have an 8″ WXGA 1280×800 TFT screen, a Dual Core 1.5 GHz CPU with 1.5 GB RAM and 8GB/16GB internal memory. It will also have an SD card slot for extended memory space. The camera will be a 5 MP one with a 1.3 MP front camera. The battery, very important for a tablet, will be a 4450 mAh, enough to last you a full day of use. We’re expecting the tablet at the end of next month, so as soon as we receive other information we’ll post them here.